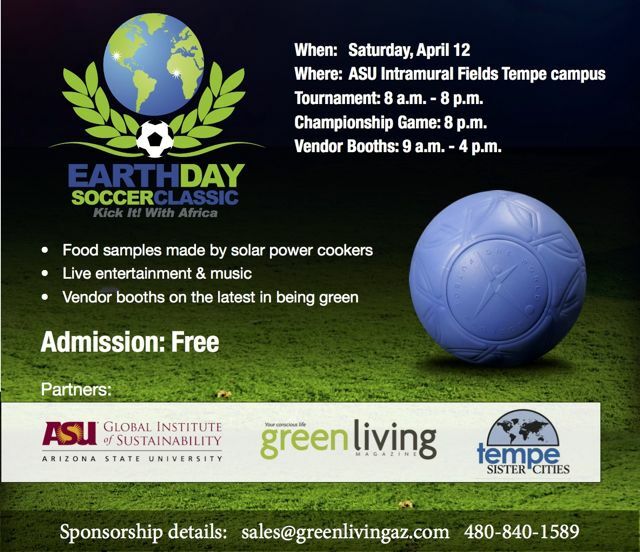 Arizona State University’s Global Institute of Sustainability, Green Living Magazine, Tempe Sister Cities, One World Futbol and Philips Electric have joined together to present a bi-continental, co-ed soccer tournament to coincide with 2014 Earth Day celebrations. This tournament is the first of its kind and is ideally times before the 2014 World Cup held in Brazil. Saturday April 12th and the ASU Intramural Fields Tempe campus.